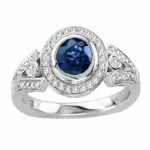 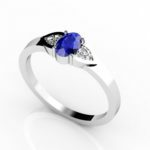 A gorgeous ring consisting of an oval shaped tanzanite of around 0.650 carats encrusted with 36 round diamonds of almost 0.180 carats, few etched on bands renders an exquisite look when fixed on 14k white gold. 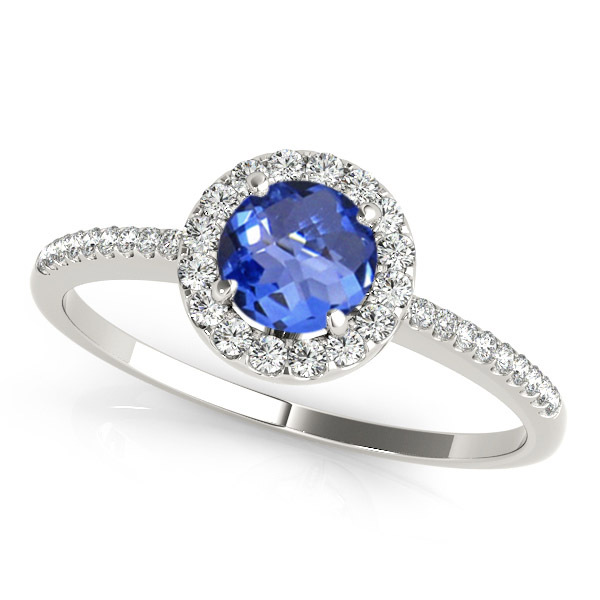 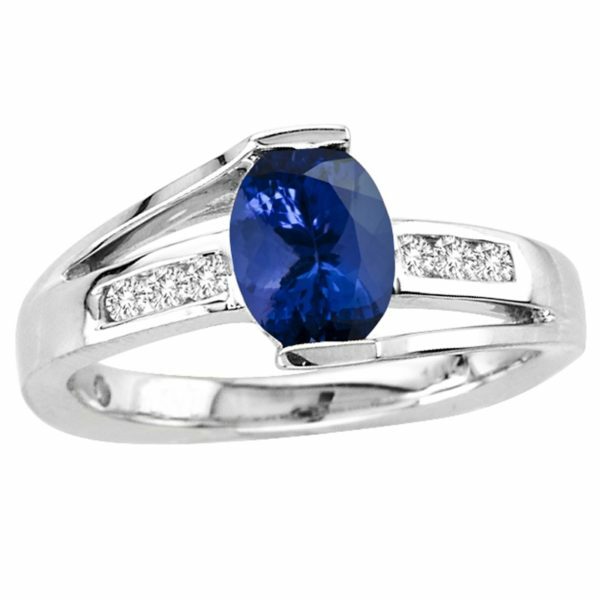 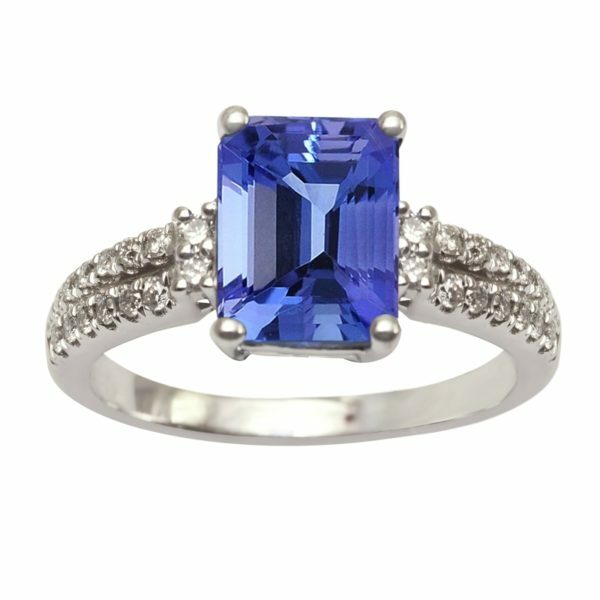 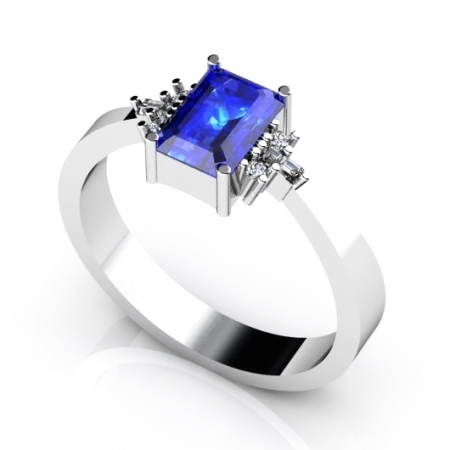 It gives a classic feel when the blue aura of tanzanite fuses with white sparkle of diamonds making it look glitterier. 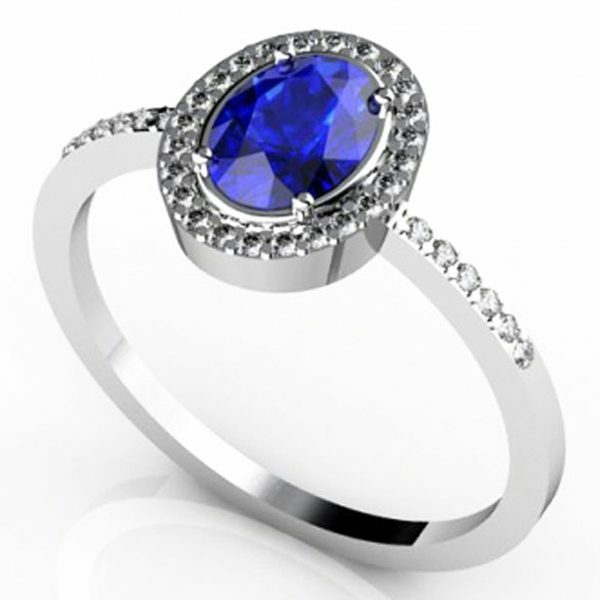 It makes the ambience look extremely divine with its dazzling appearance.